Pay the full amount in one lump sum to cover your future servicing. Spread the cost with manageable monthly payments to help organise your household bills. *Benefits apply for the duration of the plan. Service plans can be transferred to your next vehicle free of charge. A policy can be cancelled for an administration fee of £25.00+VAT. Payments and refunds will be calculated accordingly. Full terms and conditions can be found on the reverse of the service plan agreement and are available on request. The service plan covers the complete cost of your standard servicing, including parts and labour. Excludes normal wear and tear of parts for example tyres, brake pads and windscreen wipers. Please refer to your vehicle service book for information about servicing intervals. Service Club cannot be used in conjunction with any other promotion. Class 4 MOT valid for one year or the duration of the service plan only. 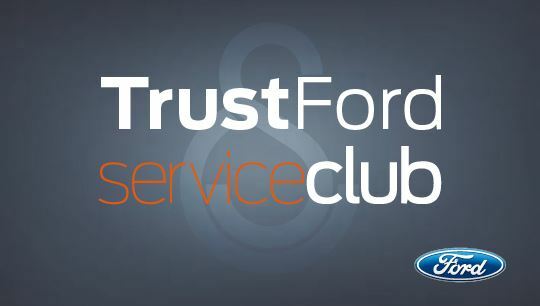 Ford Roadside Assistance is valid from the date of service until the next scheduled service is due and applies to the serviced vehicle only.